Sweep through a tall, wrought iron gated entrance, along a private cypress and maritime pine tree-lined country road, that then winds further on through the very heart of the estate, and after a short stretch you will come to the private entrance of Villa 906. 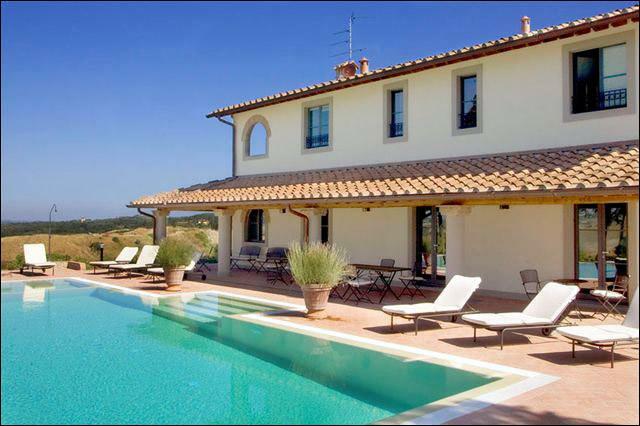 This superbly renovated villa enjoys one of the most spectacular positions. 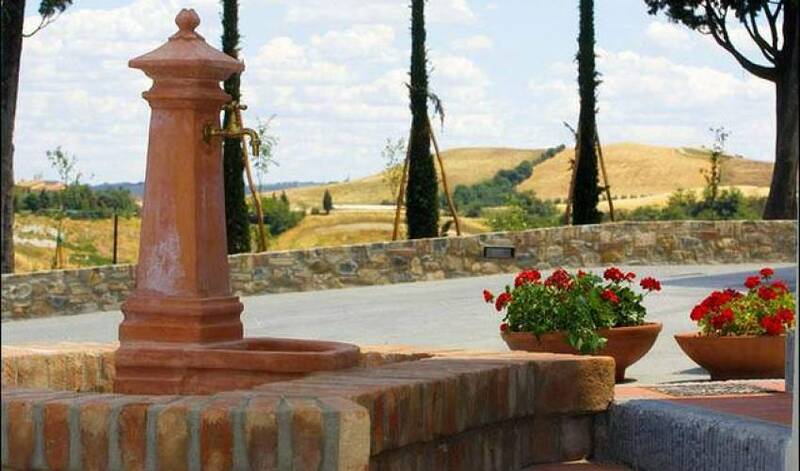 If you have ever dreamed of owning your very own hill top then this is the ultimate location! 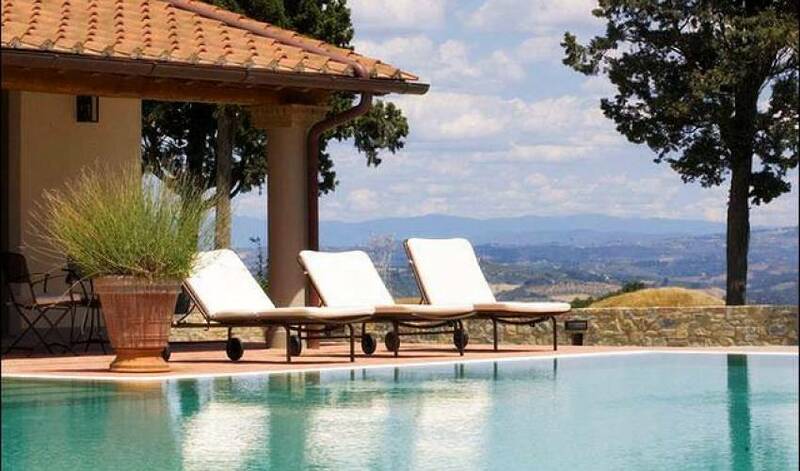 Totally private and perched on the very crest of a small hill top, surrounded by ancient Tuscan cypress trees, the Villa dominates the outlying countryside and offers the most breathtaking views. 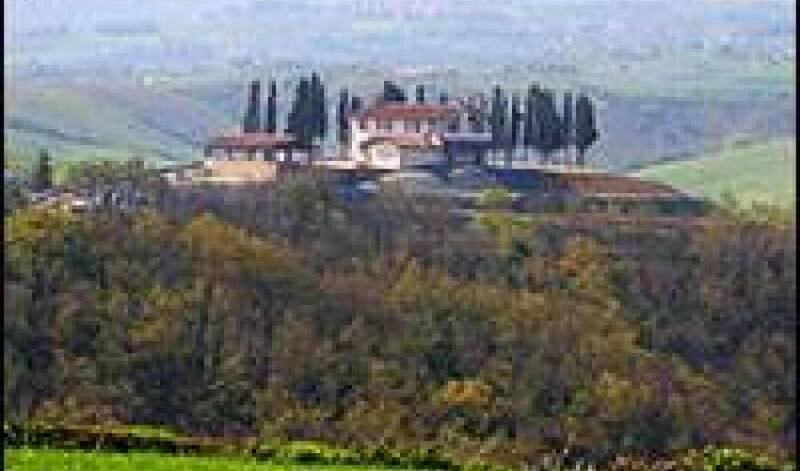 All around the house Mediterranean terraces lead down into the fields and woodlands. 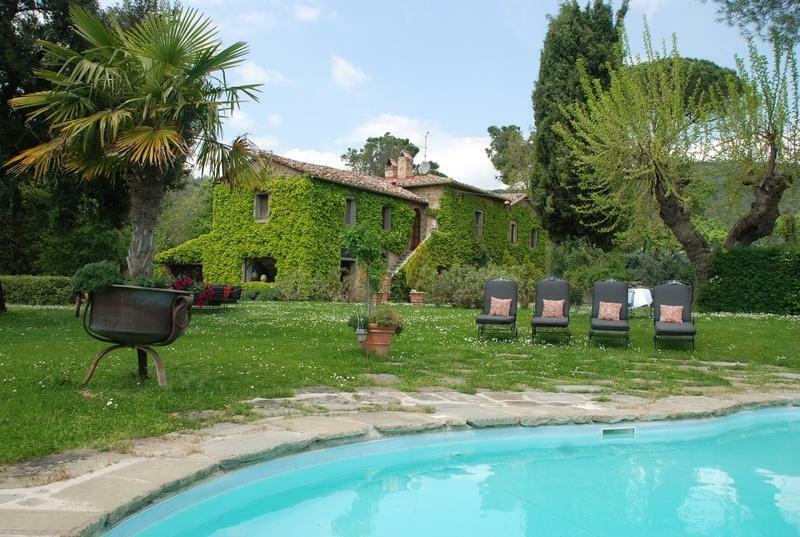 A quite majestic and powerful looking property, the Villa is a very classic old Italian Villa. The old Tuscan ivory exterior sets off beautifully the terra cotta and old stone paved entrance courtyard, which leads up to a magnificent wrought iron and glass double front door and into a very special house. Tinged in a relaxing pale blue with light smokey grey contours, the ground floor is airy and totally panoramic, and comprises entirely reception rooms. Accessible through a series of archways, there are views on all four sides. The entrance hall runs from one side of the house to the other, and through the façade of three south facing, full length, double glass doors where you can continue onto the cotto paved portico which is directly poolside. To the left of the hall is a spacious sitting room with master fireplace. The sitting room too runs full width of the house with windows on all sides. A beautifully sunny spot in all seasons. Across the entrance hall and then to the right, an archway leads into a large, South West facing, formal dining area that overlooks the pool and panorama. Off the main dining room there is a further small reception room which can be delightfully used for breakfast or lunch as it leads to the incredibly daring glass fronted kitchen! No untidy chefs allowed! A fantastically equipped, cool beige, restaurant style kitchen is in full view as its East facing full glass front, with double doors, looks over the patio and veranda terrace. An old stone staircase leads up to 6 full double bedrooms painted in two tone pastel colours, 6 ensuite bathrooms one of which with tub. High up, with great views and large windows the bedrooms make the best of sunrise and sunset with three of the rooms facing East and two facing South West. With possibly the most fascinating position of all, the South facing pool at the property runs the whole length of the house and can be seen from almost every room. 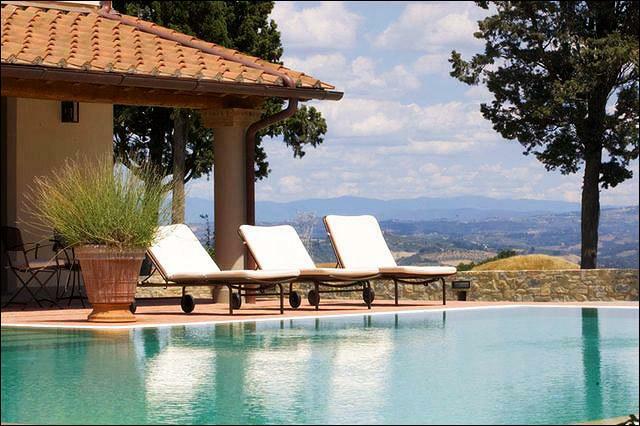 Bordered by a terra cotta paved solarium, the fantastically pitched infinity pool lies right next to the house and literally on the edge of the tree topped crest. Mosaic tiled, Roman steps lead down into the water and a spa bath sits on the west facing end. Such an inviting way of watching the sun go down, over drinks maybe! 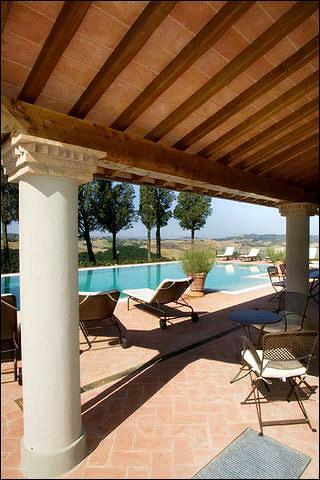 The South and Westerly facing portico is perfect for shady relaxing poolside and informal dining. Towards the front of the house, East and West facing, the large Tuscan loggia veranda provides a wonderful space for entertaining. Strategically placed, not only does the loggia provide wonderful dawn and twilight views, it also overlooks the front entrance and courtyard towards the glass fronted kitchen. As with the other properties that belongs to this owner, the furnishings and finishings are all of excellent quality and very tastefully designed. 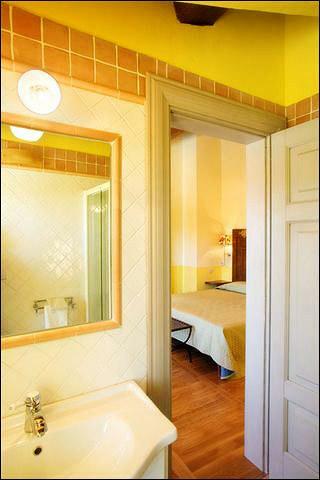 All rooms are decorated in quite vibrant pastels which are beautifully luminous. 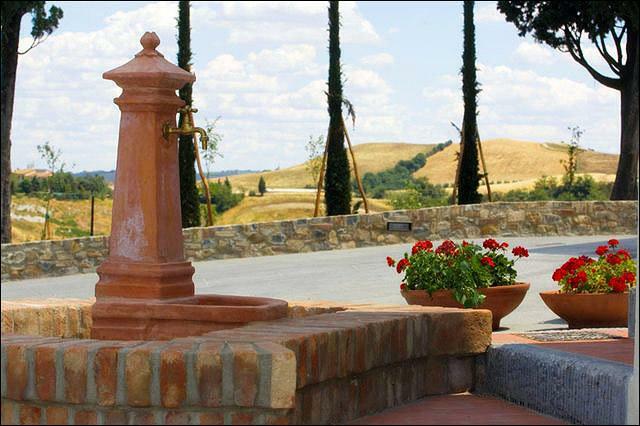 Luxury Italian fabrics are coordinated throughout and the furniture is solid, yet in an elegant Tuscan country style. 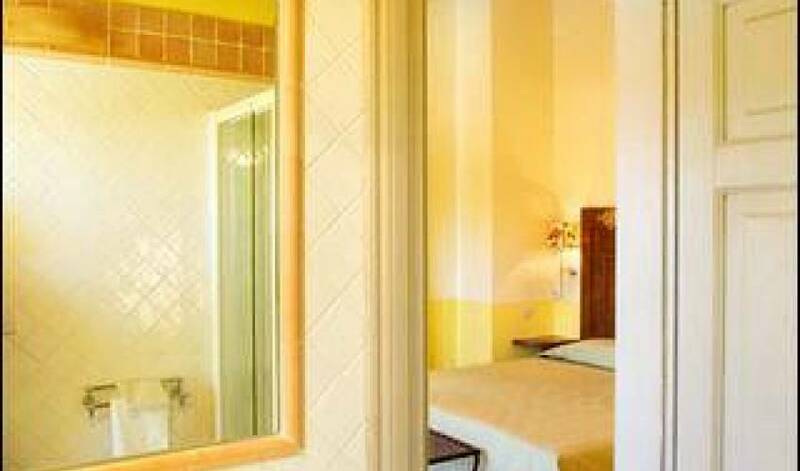 Naturally all rooms of the Villa are air-conditioned. A perfect property for entertaining, superbly positioned, Villa 906 is a sophisticated venue for family reunions, celebrations, parties and professional events. 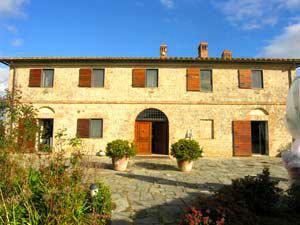 Villa 906 is a staffed property sleeping up to 12 guests. Maid service is provided daily Monday – Friday. Villa Cook or Chef service on request. Gardener once weekly and daily pool maintenance man.